With President Trump’s declaration of recognition of Jerusalem as Israel’s capital, he simply stated what reality is, has been and will continue to be: the fact that Jerusalem is, has been and will continue to be the political, cultural and spiritual capital of the Jewish people and this people’s liberal-democratic and sovereign nation-state of the Jewish people, the State of Israel. 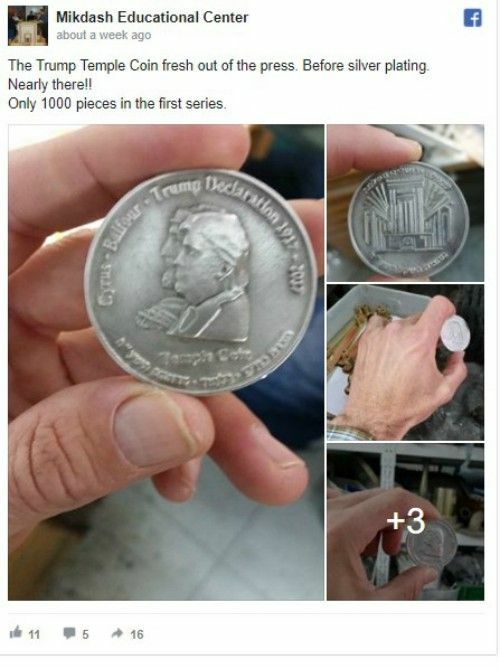 Israel has warmly welcomed Trump’s move, and because of it, Israeli education center is minting a commemorative coin to honor President Trump for his decision to move the U.S. embassy to Jerusalem. 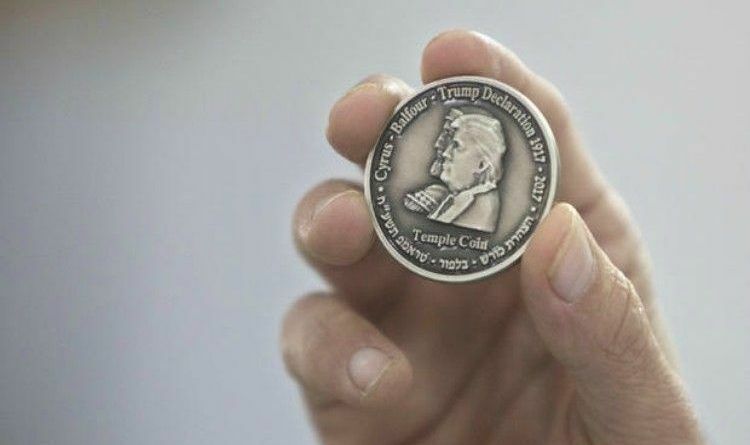 Via Associated Press: “Mikdash Educational Center, a Jerusalem-based nonprofit, is minting the “Temple Coin” which features President Trump’s face in profile alongside the Persian King Cyrus who, according to the Hebrew Bible, allowed the Jews to return to the Holy City after being exiled from Babylon 2,500 years ago. The coin also features the name of former British Prime Minister Arthur Balfour, known for the 1917 Balfour Declaration that declared the British government’s support for a Jewish state in present-day Israel. This is a fitting tribute to a truly historic occasion. Another huge recognition from our great friend Israel! It’s so nice to have a President that loves and respects the Israeli People.